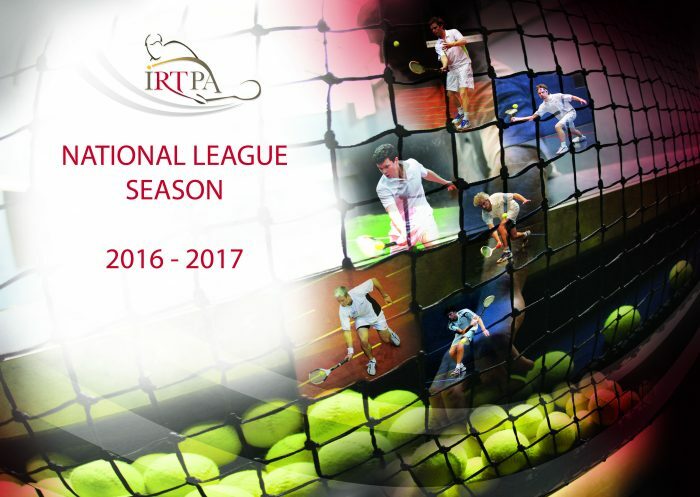 The IRTPA welcomes back the National League for the 2016/17 season; representing the premier opportunity for sub 45 handicappers to play competitive, inter-club Tennis. The National League 2016/17 promises to, once again, be the scene for the rollercoaster ride of captivating sport testing players’ technique, speed, strength, strategy and fortitude before crowning the Division Champions in the Spring 2017. This year the National League is proud to report that 56 teams will be in competition over 8 Divisions, representing 21 different clubs from 2 countries (England and France). New to 2016/17, and supported by the players, the National League has introduced an additional Two Player league that now includes the 15-20 Handicap Division. Also new to 2016/17 is ‘The IRTPA National League’; an amalgamation of Premier and Division 1, increasing the breadth of competing teams and access to elite level matches for spectators. This season certainly promises to be a success for all involved. The IRTPA are looking for short and long term sponsors for this event. Sponsorship of the IRTPA National League gives sponsors a unique opportunity not only to entertain clients at different venues around the country but also to watch an enthralling sport being played. If you are interested in sponsorship, whether private or corporate, please contact Josh Smith for more information.